I figured I would try to get my 40 Great Nail Art Ideas post up on time this week so here I am scheduling! The colour prompt we are doing this week is aqua or turquoise and my personal pattern is half and half. 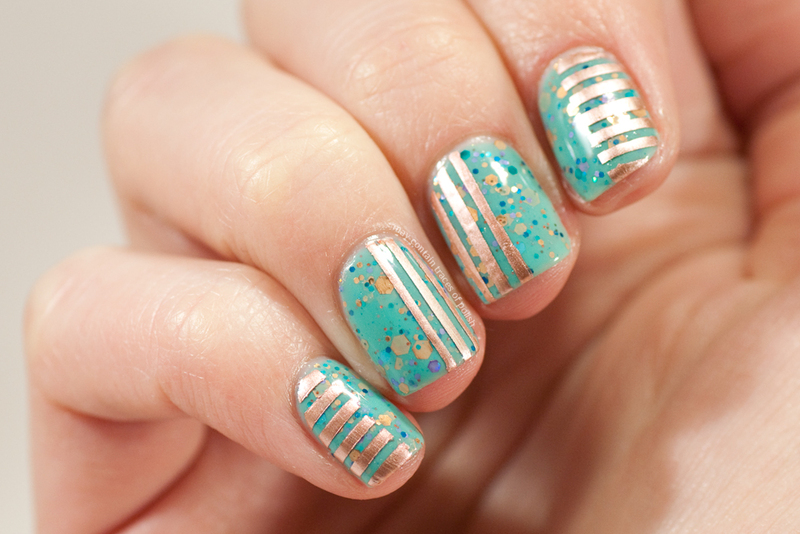 That means doing two different designs on separate sides of your nail or something like it. Since I didn't want to overshadow my glittery turquoise base, Emily de Molly Serenity, I took the liberty to leave one half of the nail without nail art ^-^. I'm loving this combination more than I thought I would. 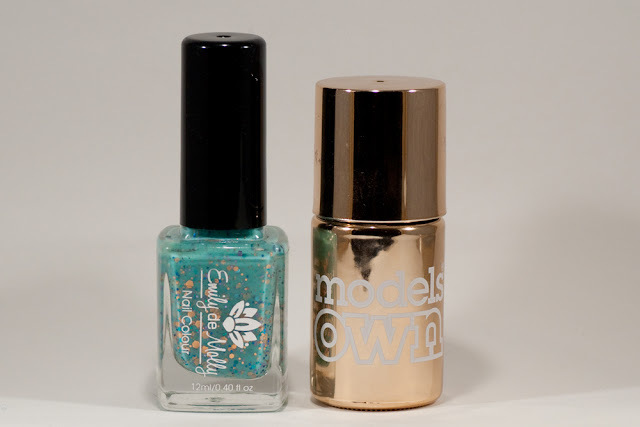 Must be the perfect colour match between the copper glitter and the copper tone of Chrome Rose. If only I had some rose gold jewellery to wear with this look! 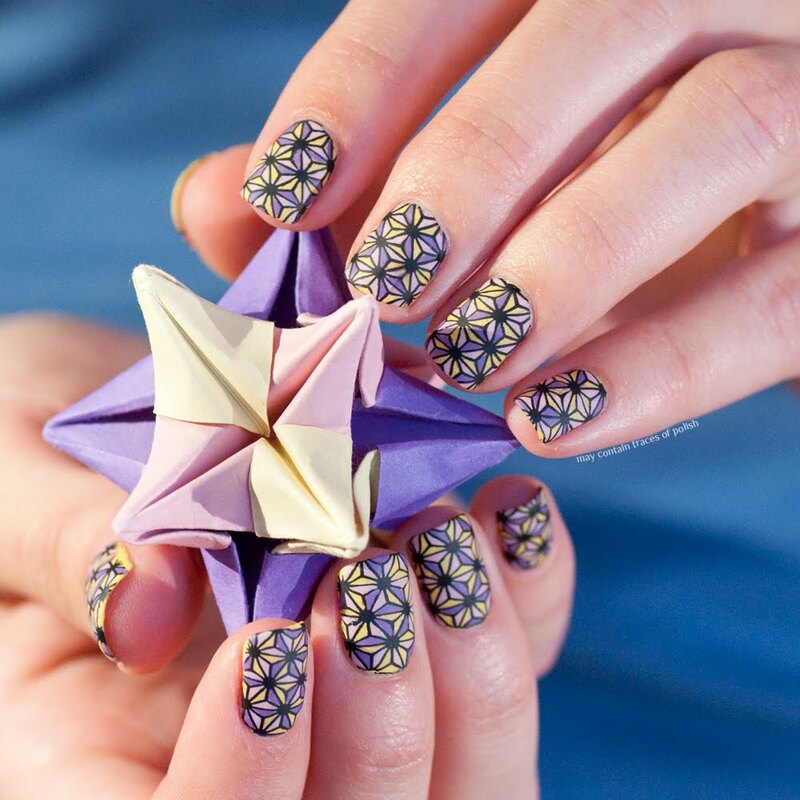 Jag tänkte att jag skulle vara ute i rätt tid den här veckan med vår "40 Great Nail Art Ideas" utmaning. Alltså schedulerar jag det här inlägget dagen innan vilket det var länge sen jag gjort! Veckans färg är aqua eller turkost och så har jag mönsterprompten "half and half". Jag har tolkat det som att man ska ha olika mönster stil på olika sidor av nageln. Då jag inte ville överskugga min glittriga turkosa bas, Emily de Molly Serenity, valde jag att hålla ena halvan helt ren från dekorationer. I love that Emily de Molly polish! Gorgeous! I love the combination of glitter and metallic! I'm so in love with this look! If you lived near me I'd let you borrow my rose gold rings lol. Serenity är så vackert! Jättefin kombination! This is so pretty! 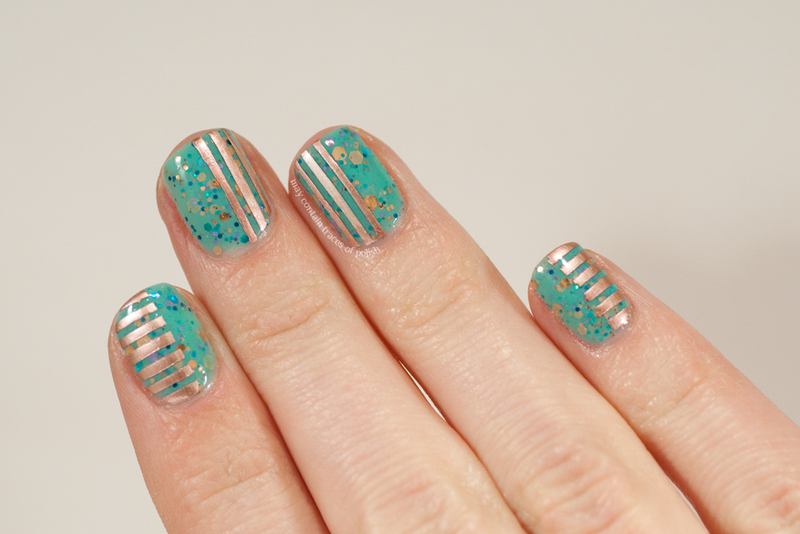 I love the metallic gold paired with turquoise!